Ruth has a passion for setting up integrated, holistic projects and has a strong interest in creating affordable, beautiful housing and lifestyles which are integrated with human and environmental needs. She has spent many years living in France, planning an eco village, successfully obtaining outline planning permission for the village. She has been the creator of successful and innovative educational projects and has a strong track record of financing, fund raising, innovative project design, creation and management in the UK, including two housing renovations. Mark has experience in both the not-for-profit and business sectors. As well as running his own consultancy, he has been the Chief Executive of a charitable trust, and has also worked for the National Trust in operational and project roles. He has a range of skills and a depth of knowledge and experience in the spheres of: Income generation, Fundraising, Creating and delivering Strategic Management & Project Plans, Learning & Interpretation, Heritage and Conservation. Peter studied Achitecture and Mechanical Engineering at the Delft university in Holland and practiced architecture for 18 years in Holland before moving to France. Since then he has created an alternative for the modernistic mainstream line of thought and in 2010, he started designing the first models in his range of designs. He has recently built his own house of 75 square metres using wood, clay, strawbales and recycled materials. 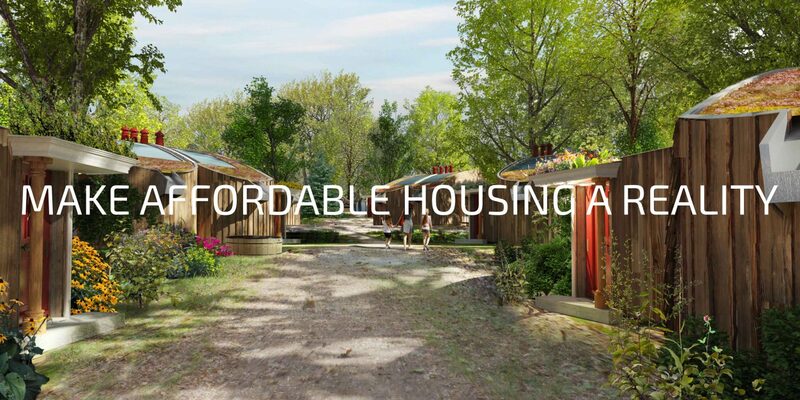 He has a number of new kit designs for the affordable eco houses that we feature here and he will be working closely with us to build great houses at low cost in Cornwall,the UK and elsewhere.